Armand Doucet's Grade 11 modern history course isn't a class where students memorize the dates of battles and the names of former world leaders. The popular teacher at Riverview High School asked his students to come up with a passion project linking to something in the course curriculum. Armand Doucet's Grade 11 modern history course isn't a class where students memorize the dates of battles and the names of former world leaders. 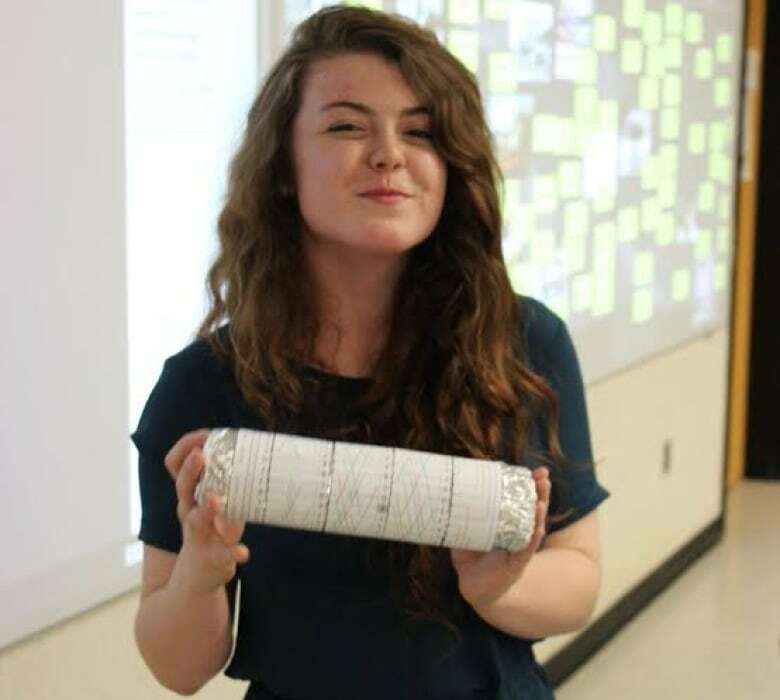 This year, as well as covering the course curriculum, the popular teacher at Riverview High School asked his students to come up with overarching passion projects, linking something they are passionate about to something in the course curriculum. "They were quite excited and the more they worked on it, the more excited they got," Doucet told Information Morning Moncton. 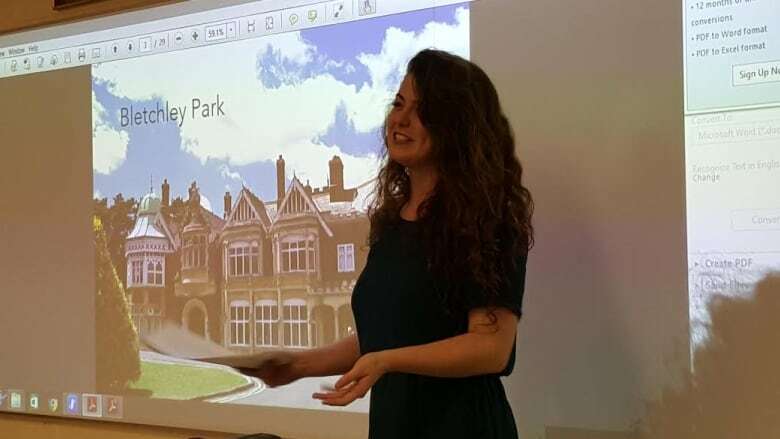 For Jata McCabe, who calls herself a "math dork," it was a project about Bletchley Park, the British facility where codebreakers worked during Word War ll. "My passion is math and I had to try and work that into modern history," McCabe said. "Mavis Batey is my hero now." Batey's work as a codebreaker is considered one of the keys to the success of D-Day. "I made these tin foil and pool noodle Enigma machines and they have to decrypt some gibberish codes to find out which location they have to go to next for their clues," McCabe said. Watching McCabe build her own version of an Enigma machine, which was used by the Germans in World War II to send coded messages, was amazing to Doucet. "To have a woman interested in the math profession, when statistics are so low for their pursuit in that field, to be able to continue pursuing that passion during modern history and look at Bletchley Park, I mean that's priceless," Doucet said. Doucet feels "lucky" to have watched his students draw on their resilience and creativity to complete their individual passion projects. "Creativity is very uncomfortable for most people because they don't know what's going to be the end product," he said. Zach Gould compared Star Wars Emperor Palpatine to Adolf Hitler in his project, which ended with a rap battle between Darth Vader and Hitler. (Submitted by Armand Doucet)"To be able to be resilient within that environment, to be able to be resilient when you don't know where you're going and to be able to collaborate with your peers to help you out — that's exactly what creativity is all about." Zach Gould's project, which combined his love of Star Wars with the history of World War II, ended with a video rap battle between Adolf Hitler and Darth Vadar. "It was one of the most creative things I've ever seen — [Darth] Vadar obviously won because he becomes a good guy at the end," Doucet said. "It is a skill set that we need for the future — we need to be creative and resilient." Gould says seeing the similarities between the Nazis and the Star Wars empire was "pretty cool." "Hitler is very comparable to the the emperor from Star Wars. They both promised peace and they ... both really just wanted full control and they wanted to wipe out certain races," the Grade 11 student said. "George Lucas really got a lot of his inspiration from the Germans ... and I didn't know any of that." Doucet is hoping the 'passion project' will expand to other courses next year. "It really gives them a chance to pursue something that they're interested in and the learning that's done, apart from what you've seen in terms of presentation, is 10–fold," he said. "It's a different way of looking at the classroom and I believe that it's a different type of culture that you can create in the classroom."